My deep affections for Jaipur, memories of the Princess, jewels at the Gem Palace, walks in the garden and why the Rambagh is all the Raj. 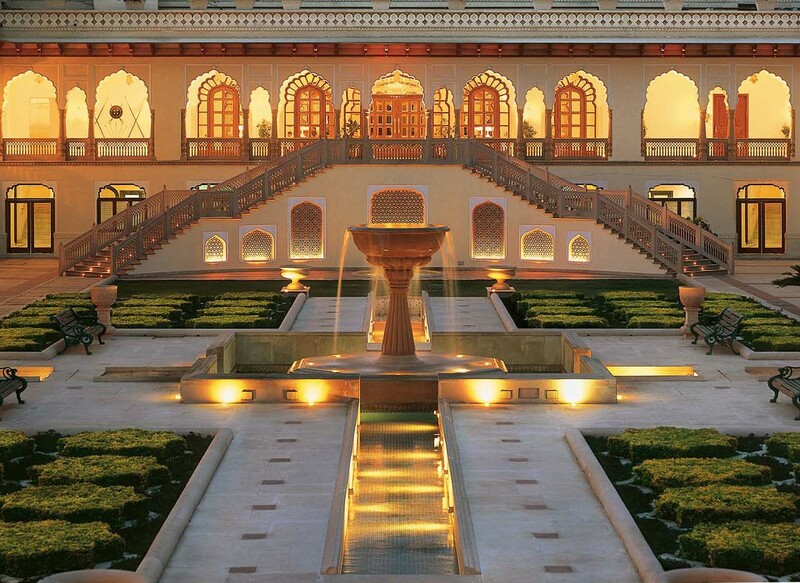 Dateline: Rajasthan, India This week we are exploring the bold and glamorous India of the Raj, and beyond. We’re in the handsome city of Jaipur, in Northwestern India, south of Delhi. Jaipur was formerly the capital of the princely state ruled by the jewel-bedecked and very handsome maharajahs of Jaipur. 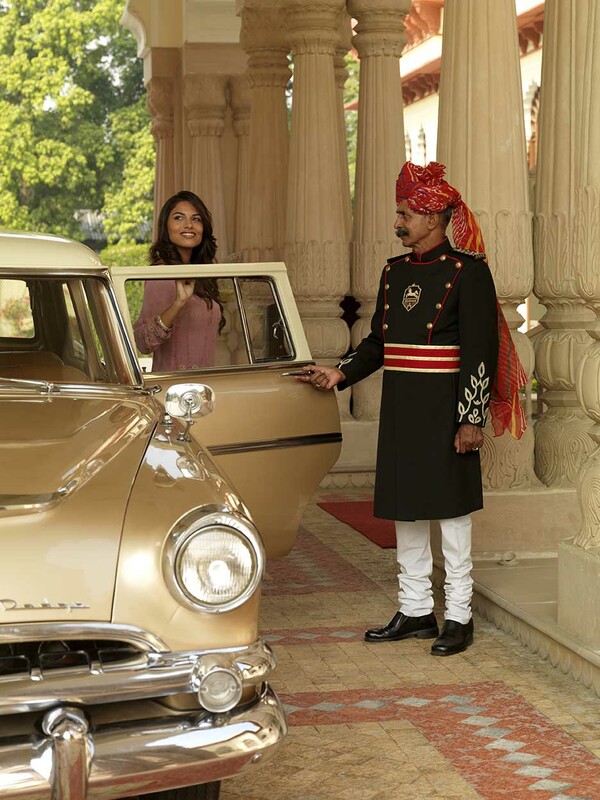 At India’s 1947 Independence, the princely states were disbanded—but Jaipur has retained its elegance, its fine architecture, its traditional workshops of fine craftsmanship, and the superb Rambagh Palace hotel. I’ve been staying there for years. This week we’re exploring historic Jaipur. 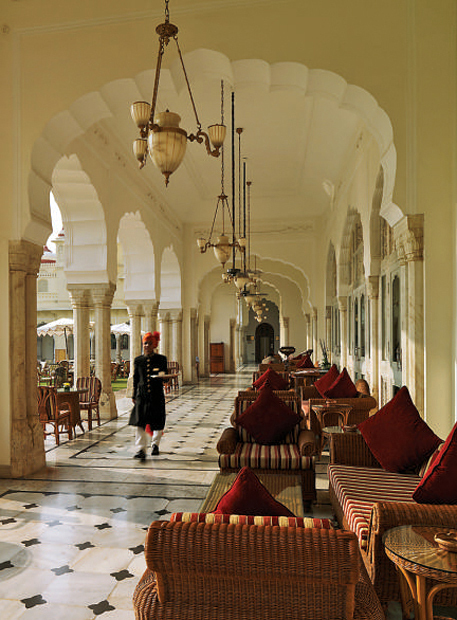 Come with me to wander the marble halls of the regal (but low-key) Rambagh Palace hotel. 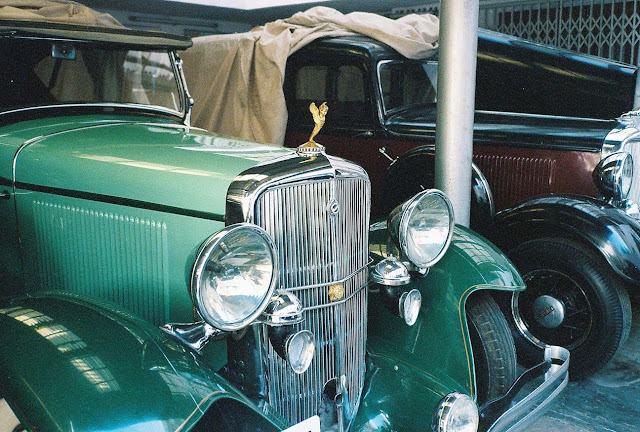 Jump with me into the springy back seat of a vintage army-green Plymouth as we roll over to the Gem Palace to feast on diamonds, lustrous pearls, and a treasure trove of worldly beauty. This is my favorite way of experiencing Jaipur—a city I’ve been visiting since I first arrived there as a student. It was love at first sight. My home in Jaipur is the Rambagh Palace hotel, now managed by the Taj Group, and still owned by the Jaipur royal family who maintain their offices at the hotel. 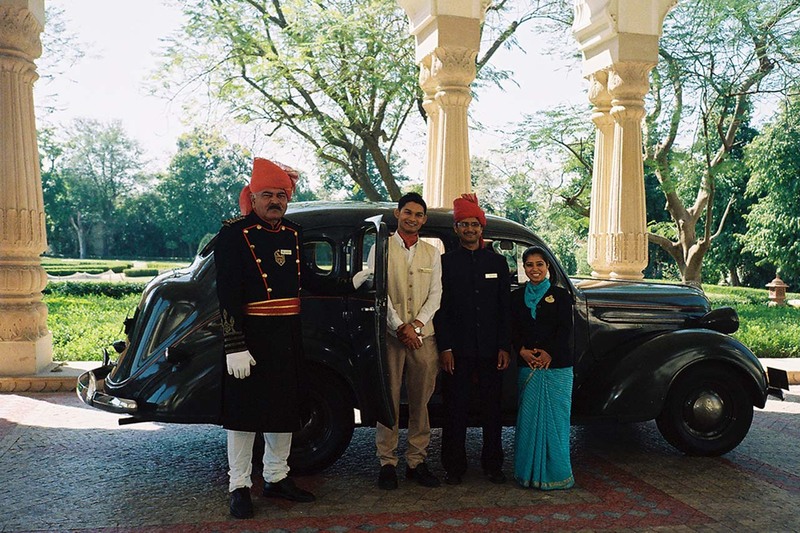 You may be fortunate to see members of the royal family greeting guests in the lobby, or hosting guests on the terrace. 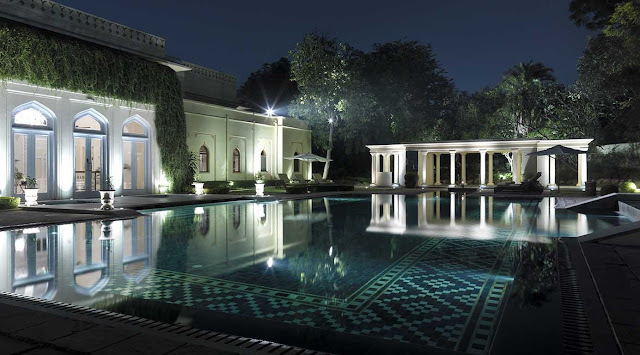 Rambagh Palace, on forty-seven tranquil acres of superbly maintained gardens, is an architectural masterpiece. Originally built as a country retreat for the ladies of the royal family, it combines the best of Rajput and Mughal architecture with traditional carved marble walls, lavish interiors, and a timeless air. It has been updated and remodeled over the years—but to me it always looks the same. It’s a landmark. The real deal. Peacocks shriek in the garden, staff walk briskly, Bollywood and Hollywood stars sweep through the lobby, world leaders depart discreetly. Guests gather for drinks in the evening to watch the mesmerizingly beautiful traditional Rajasthan tribal dances. This is the place to be in India. One reason I love the Rambagh is that is a real palace. It’s not a new hotel built in the style of a palace. It’s not bling’d up. It’s not flashy at all. The staff is discreet and rather low-key. Service is personal, helpful, and never intrusive. But, if like me you love Assam tea, loose leaf, the butler will find the finest loose leaf Assam tea for you to take home. The Rambagh is not trying to be palatial. Some of the suites—the ones that newlyweds adore—are rather over-the-top and deliciously so. But many (the ones I choose) are less decorated, more monochromatic. 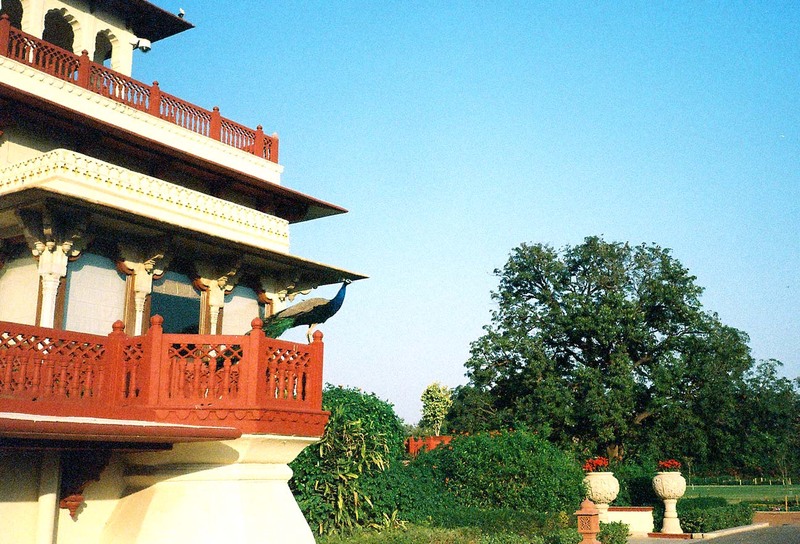 Built in 1853, this property was the Maharaja of Jaipur’s country estate, and the royal family lived here until 1957. Their style was rather English, and various English decorators came and went in the twenties and thirties. 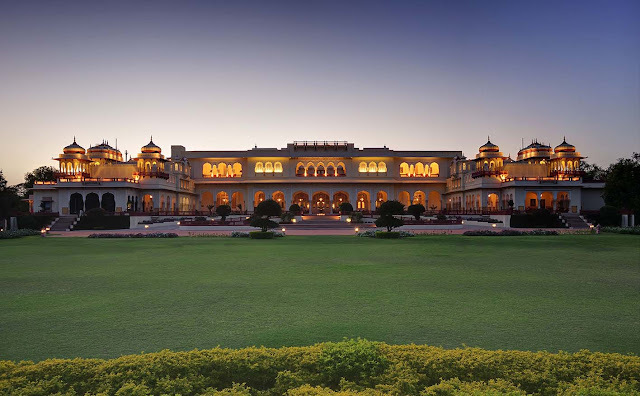 Today the palace exudes timeless Rajasthani style and spirit with a splash of Raj glamour and grandeur. The suites have been reconfigured to offer more space and light and a broader range of décor. In some of the top suites (like the lovely Peacock Suite), form follows fantasy. Once the residence of Maharaja Sawai Man Singh II and his queen, Maharani Gayatri Devi, Rambagh Palace discreetly gives a vivid sense of centuries past. It’s well located, close to the center of the historic walled city of Jaipur where the best jewelers have their galleries and workshops. Accomodations: Whenever I’m in Jaipur (several times a year though I wish even more often) I stay at Rambagh (that’s what locals and everyone familiar with the hotel calls it). It happens that it’s also the favorite of Indian film stars (and stars like Daniel Craig) when they are filming in Jaipur. How do I know the film stars? They stalk through the lobby with a phalanx of bodyguards, full of strut and swagger. Perhaps also it’s their ‘sunglasses worn indoors’ syndrome that gives them away. I love it. A couple of years ago when I stayed there, Judi Dench and Maggie Smith (now the Duchess on ‘Downton Abbey’) were staying at Rambagh while they were filming ‘The Best Exotic Marigold Hotel’. They were lovely ladies…women of great charm and modesty. They were nice to staff—and I saw them several times shopping for jewelry at Gem Palace. 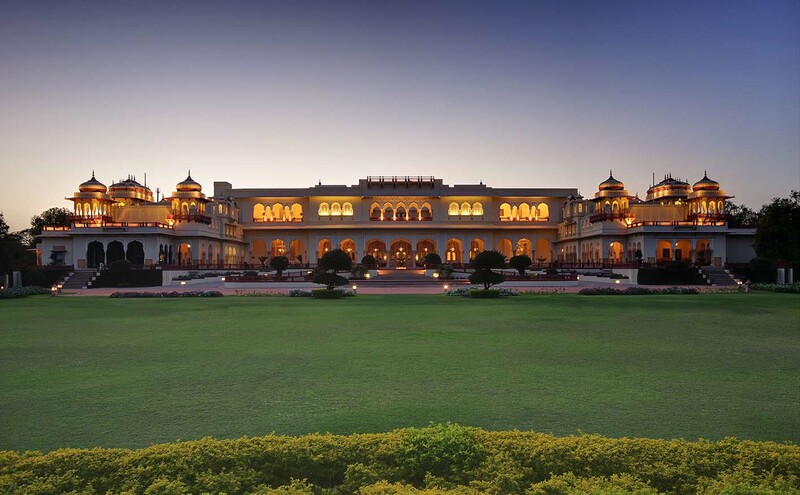 Rambagh Palace highlights: window-shopping for diamond rings and emerald necklaces (not buying) before and after dinner at the hotel’s Gem Palace shop. I always stock up my research library at N.K. Jain’s bookshop with its ultra-rare and out-of-print volumes and essential references on Indian palaces and interiors, textiles and Raj history, plus stacks of William Dalrymple’s must-have books on India. 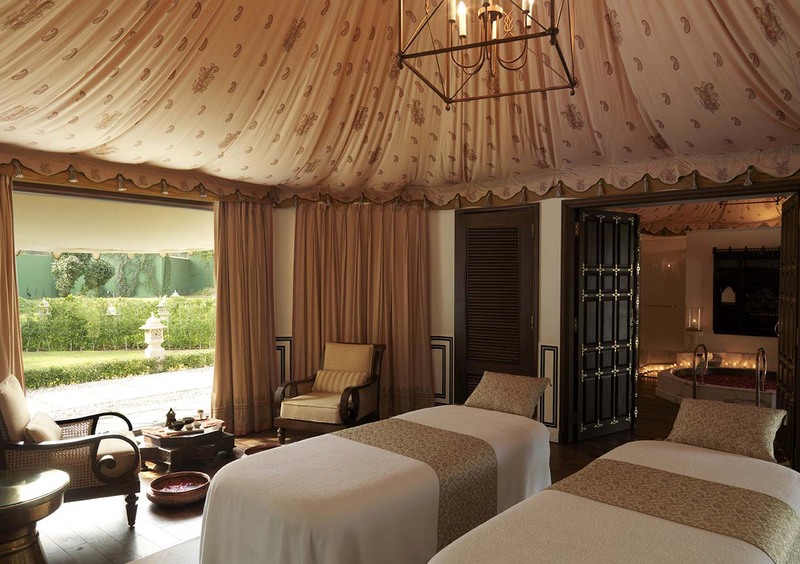 Snoozing in the maharani’s romantic bedroom? It’s possible at this fabled luxury hotel. 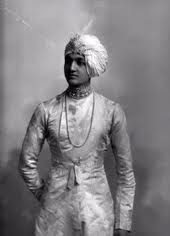 The viceroy, Jackie Kennedy, Queen Elizabeth II, and lords and ladies of the British Raj all visited in the days of the maharajahs. Nowadays, you’re likely to encounter actors Dev Patel and Freida Pinto (the lovebirds of ‘Slumdog Millionair) — among recent stars we spied. I like that. This is a hotel where continuity of style and décor, as well as polished staff and constant high standards, are subtle and essential. The tone: warm and friendly, and a little bit formal. I love meeting the front desk staff, all graduates from the Taj management program and world-class. 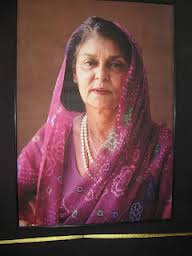 The Rajmata Gayatri Devi: Whenever I was staying at Rambagh, I visited her for tea at her residence, Lilypool, just through the hedge and across the lawn from Rambagh. 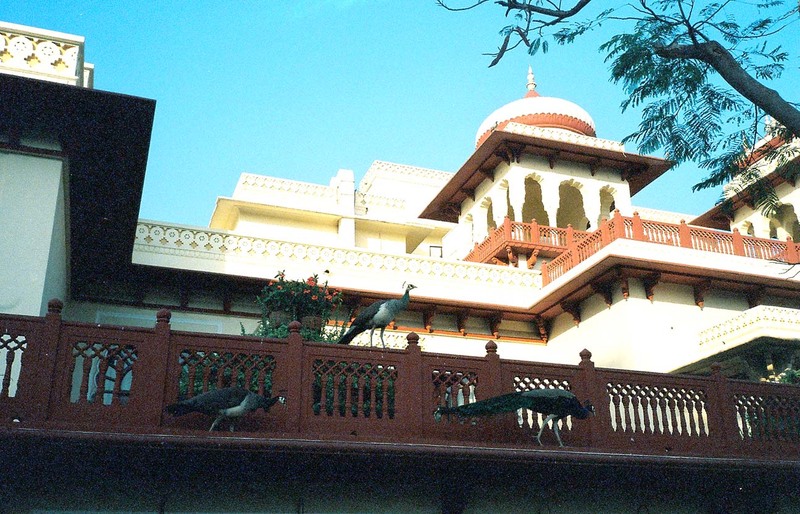 I used to walk in the hotel garden, among the peacocks, with the Rajmata and her younger sister, Menaka. When she was in residence at Lilypool, the Rajmata went at least twice a day to the temple at Moti Doongri fort (visible at night from the terrace of Rambagh). I’d meet her for tea. The phone often rang. Chums from London, or her friend Sudhir Kasliwal, or the principal of one of the schools she founded. To the end, she was engaging, she was charming, and she was regal, witty and forceful. 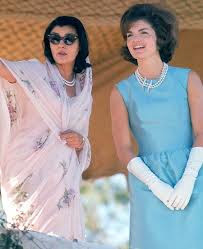 I still ‘see’ her walking in the garden in the twilight in a lovely turquoise sari, or buying rings at Gem Palace. 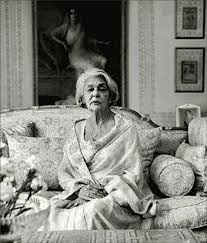 Her husband, the Maharaji, died playing polo. Her son, her only child, died quite young. Politics turned against her. Her beloved sister died. 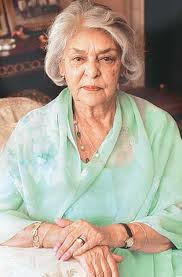 And the Rajmata (queen mother) remained, for many, a powerful force for justice and women’s rights until she died, aged 90. She was beloved in Jaipur. She started a grade school in a small village on the outskirts of Jaipur (I send school supplies there and visit), and she is missed. 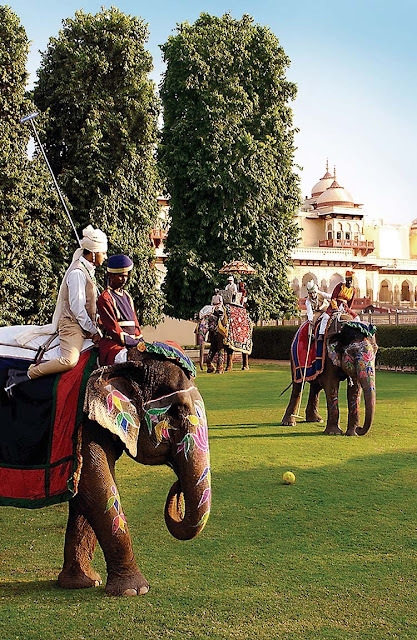 Her funeral after she died on July 29, 2009, was a parade of elephants, Marwari horses, polo players, world leaders, all of the Indian ruling families, school children. 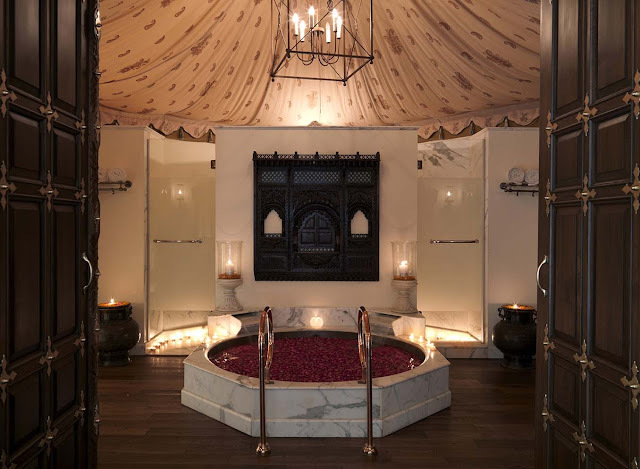 Yes, the hotel is palatial in a Moghul way—but my favorite rooms are rather understated. I like one because it has access to a terrace overlooking the garden. I like another because the sitting room/ bedroom/ dining room is decorated in Anglo-Indian style, with a black and white marble floor, pale off-white walls, portraits, and carved mahogany furniture. It’s low-key and elegant, not especially glittery. There is also the Peacock Suite (which I love), which overlooks the garden where peacocks preen and stalk about, and even perch on the terrace. Friends of mine who often stay at Rambagh prefer rooms with a pronounced expression of Indian traditional styles, with opulent golden silk curtains, beaded trims, handwoven silks, and highly detailed carved antiques. They love the craftsmanship, the Indian textiles, the vibrant colors. To everyone, their heart’s desire. 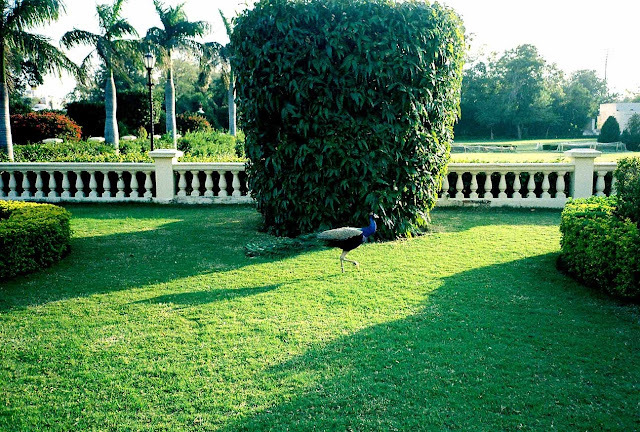 CHASING PEACOCKS: I wanted to show you the peacocks that roam the Rambagh garden, and leap up onto the balconies. One late afternoon, I walked out onto my terrace--and the peacocks were out looking for supper. I stalked them, very respectfully and with great discretion. This is the closest I could get. 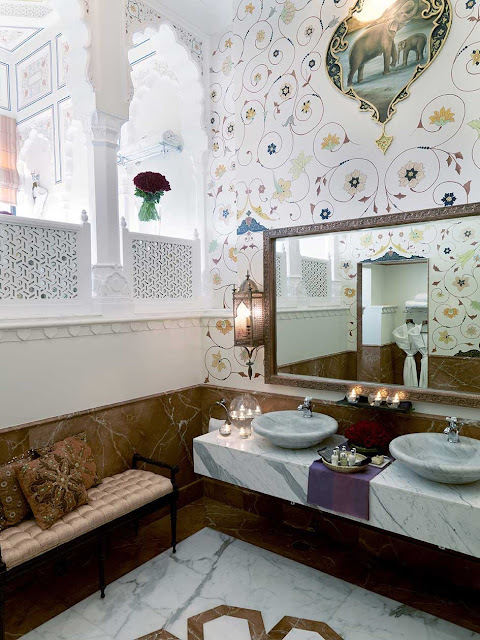 RAMBAGH LUXURY: The Grand Royal Suites, originally part of the private chambers of the royal family, have been carefully restored to preserve the original architectural style of the Palace. From the richly-textured furnishings to the arched Agra-style windows that frame splendid garden views, Maharani and Prince's Suites have a stately elegance. One has the Maharani’s mirrored bathroom. So chic. These themed suites built around a grand scheme — Peacock, Kachhawaha, the Maharaja, Badal Mahal and Rang Niwas—are favorited by honeymoon couples who love the rich silks and delicate artwork, the bright colours, the once-in-a-lifetime regal ambience. DINING: My favorite, day and evening, is the Verandah Café. This alfresco dining terrace overlooks the landscaped gardens and beyond is the Moti Doongri fort. Indian and Continental cuisines. Oh, and watch for the palmreader who sets up his table in the evening. Around 7pm, a lovely and very authentic dance performance begins. VINTAGE STYLE: One secret pleasure of staying at the Rambagh is that some of the Maharajah's cars may be available, with expert driver, to drive a guest into town. 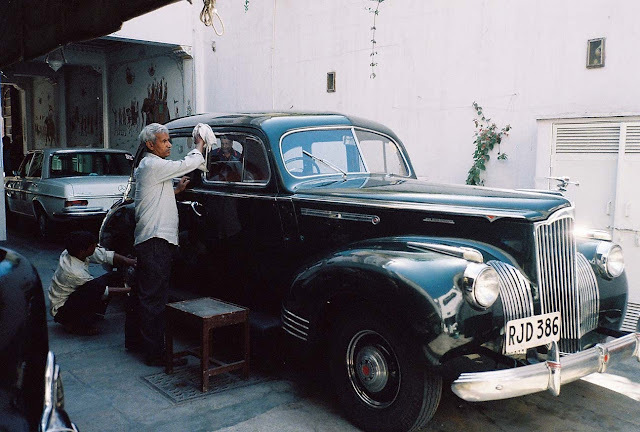 I've written before about riding in the Maharani's 1930s Daimler — a dream. It is evidently in Delhi for some repairs (it has been there a long time now). So, this less glamorous but rather wonderfully preserved old Plymouth is the current vintage car. Lovely staff — including my butler (in jodhurs) and the front desk manager Chandni (her name means moonlight) posed very spontaneously for me. The driver is in red turban. This time it’s a 1948 Plymouth, army green, all polished up and full of vim and vigor. It has a mere 35,366 on the odometer and the back seat is bouncy with bold new springs. 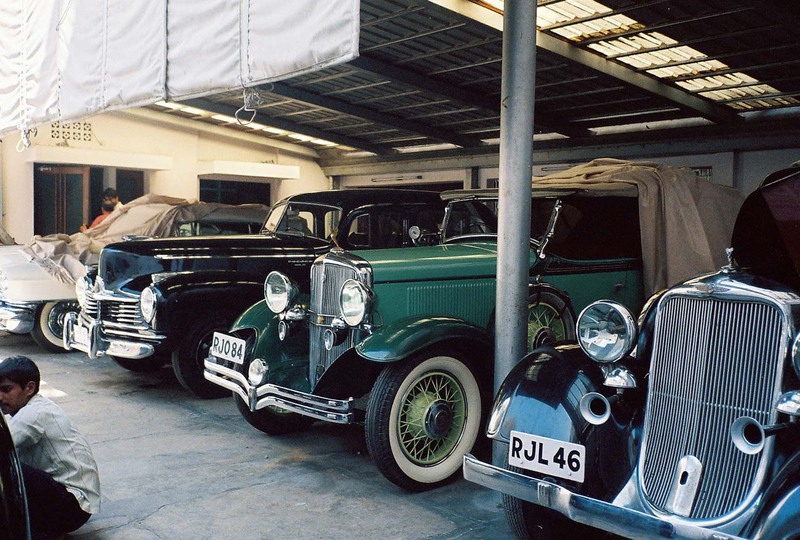 The workshops of the Gem Palace, owned by the philanthropic Kasliwal family, once made jewels for maharanis. Now their diamonds and jewels fuel the desire of fashion designers like Giorgio Armani, Princess Diana, European royalty, French fashion designers, London interior designers, German barons, Moroccan royals, Dubai emirs, and a world of gem collectors too rich, dazzling, or famous to mention. The Gem Palace. Diamonds as big as the Ritz. Emeralds the size of quail eggs. No, I’m not buying diamonds, but I do love the aquamarines, the pink tourmalines, citrines, and topazes. Oh, yes. I love Gem Palace, and the Kasliwal family, whom I’ve known for many years of visits to Jaipur, are dear friends. Munnu Kasliwal, a young son of the family that has owned Jaipur’s legendary Gem Palace for seven generations, was considered one of the top fine jewelry authorities in the world. Sadly, tragically, he died last fall. “Jaipur was founded in 1727 and has always had a tradition of rare handcrafted jewelry and art,” he told me. 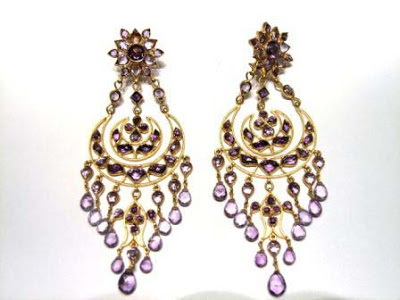 Jaipur is now the world’s center of precious stone cutting, gems and jewelry crafting. 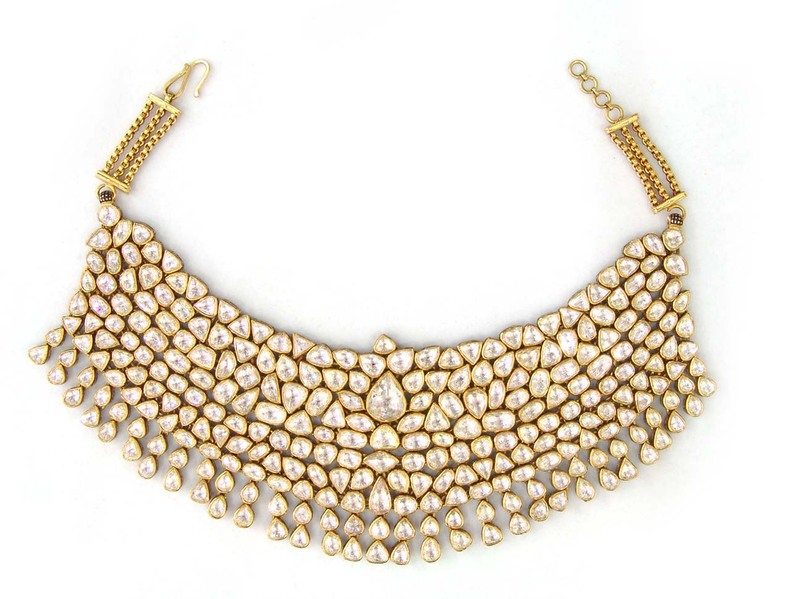 Many jewelers (including Gem Palace) sell to jewelers and fashion boutiques in Paris, Los Angeles, New York, London and San Francisco, and prices in India are not strikingly lower. But, the selection, the atmosphere, the experience are priceless. In Jaipur among the day’s temptations were diamond earrings and a maharaja’s trove of sapphire and diamond rings that caught the attention of fashion designers and their throngs who attended Liz Hurley’s wedding in Jodhpur. 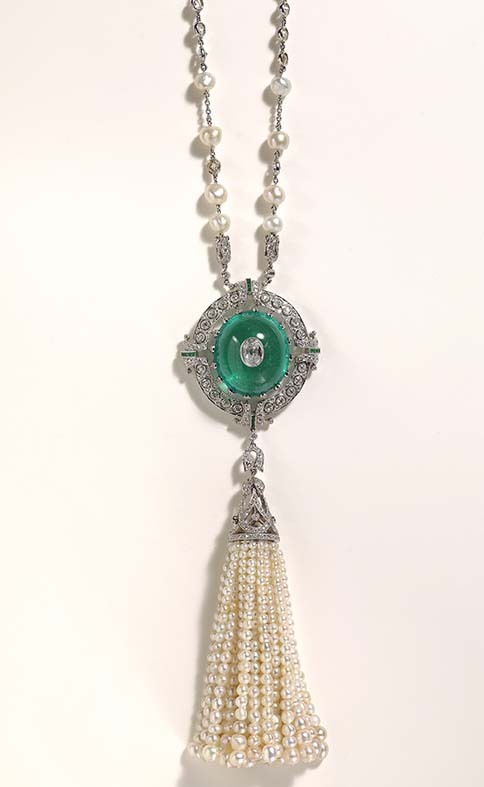 Gem Palace delights included an emerald bead torsade, a gold snake bracelet, an Egyptian-style lapis-lazuli-and-turquoise necklace and a Burmese ruby necklace sparkling with diamond rondelles. The prices? While there are superb flat-cut tourmaline rings for $450 and pretty citrine rings for $500, more ornate pieces start around $5,000 and up to the stratosphere. Sudhir Kasliwal, founder of the Rajputana Automotive Sports Car Club, collects rare vintage cars. Several of them are garaged at Gem Palace. He is an accomplished photographer, often commissioned to shoot significant heritage images of Rajasthan and Jaipur. 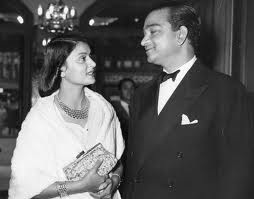 He published a cookbook with the Maharani of Jaipur with whom he was a very close friend. OH, THE BEAUTY — SUDHIR KASLIWAL'S COLLECTION: When I visited Gem Palace, I was fortunate that his cars, usually under wraps, were being buffed up for a vintage car rally. A team carefully polishes, shines, cleans and carefully perfects each inch of the cars. Many of these beauties (which have all won awards) were formerly in the collections of maharajas, princes, princesses, and various members of royal families, avid collectors. The cars are absolutely wonderful fun to ride in...you have to dress up a bit and look the part. For old friends of the family, it is now a delight to see the next generation learning from their fathers, eagerly picking up intricacies and business acumen and discretion from their family. Siddharth Kasliwal is now managing his studio. Samir Kasliwal, charming and helpful, advises guests in the shop. 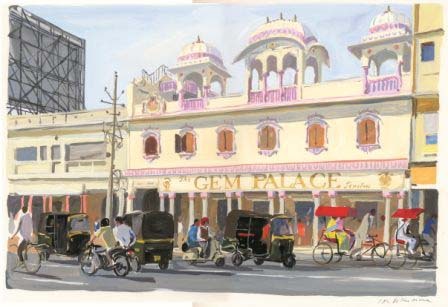 Gem Palace is in good hands, with multi-generations of world-class jewelers taking care of business. Top of the top. And if, for the moment, you can't make the trek to India to peruse the selection, there are always displays of Gem Palace/Munnu pieces at Barney’s New York stores (New York and San Francisco, for example). It is also now possible to schedule a viewing in New York, where Gem Palace recently opened a by-appointment-only salon in a charming brownstone on Manhattan's Upper East Side. After dinner at the Rambagh, my favorite treat is to wander into the Gem Palace boutique to try on aquamarine rings or emerald necklaces. Then…next-door is N.K. 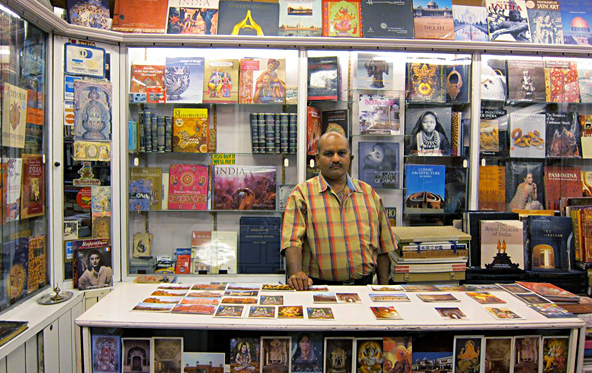 Jain’s impressive incense-scented bookshop with an in-depth library of reference books on Indian culture. It’s called Photo Service, for reasons too complex to explain. It’s a noted bookshop. When I was there recently, the great New York designer/architect/sculptor Thierry Despont was flicking through design portfolios and rare volumes on traditional Moghul architecture. I always return home with bags of books, old, new, obscure, vintage, best-sellers, arcane, just everything about Indian culture, design, style, and literature. The key: for approximately $15, any book including paperbacks, can be hand-bound in dark blue, brown, green or red leather and its title hand stamped in gold on the spine. Mr. Jain can ship, or it can be completed in a few days. Photo Service, N.K. 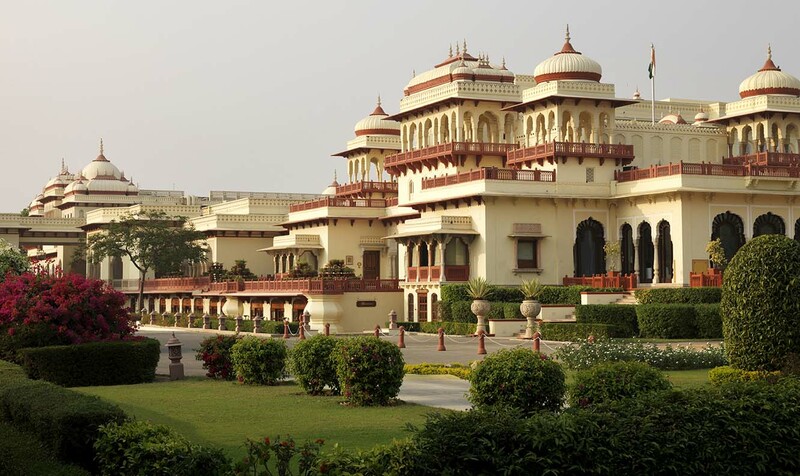 Jain, Rambagh Palace Hotel, 011-91-141-238- 5030. Call ahead for hours, which are somewhat eccentric. Indian highways are so much improved. Now it is possible to contemplate driving to Udaipur from Jaipur (I did it recently, about 5 hours, on a very good highway). Now, it is possible to plan, on the new highway, heading to Agra by road. Until recently I would not have advised it. With a good driver, one of the new four-wheel drive vehicles, and a nice picnic lunch to enjoy halfway, it can be a very pleasant way to see the countryside. • Ranthambore – 182 Kms – 3.5 hours journey (that’s the tiger sanctuary). 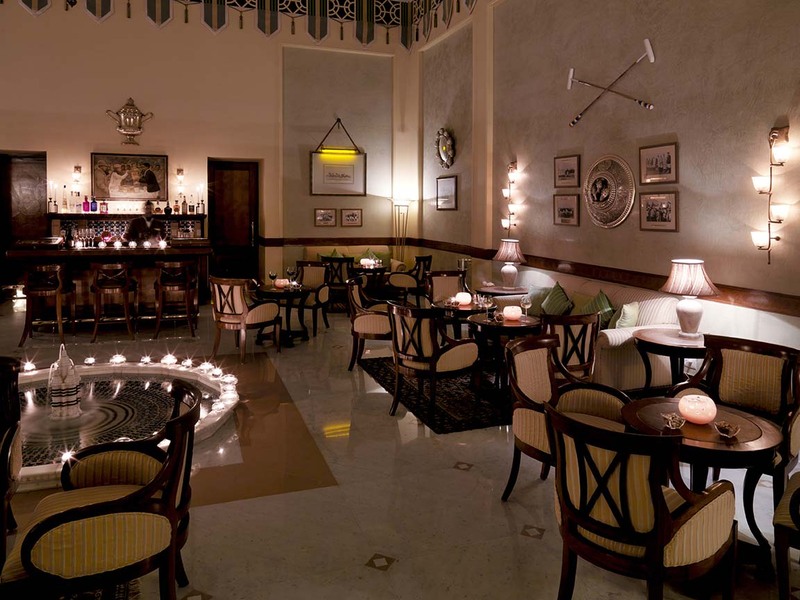 Images of the hotel, the architecture and suites courtesy of Taj Hotels and Resorts, used here with kind permission. Images of gardens, peacocks, vintage cars at Gem Palace, and Plymouth and Rambagh staff by Diane Dorrans Saeks, published here exclusively. What an illuminating insight you give us into the most desirable places to visit in India. I've always loved Jaipur perfume from Boucheron. It's such a classy and luxurious fragrance. But I've never been to the place itself. This hotel is too exquisite to describe. The artist, Maurice de Vlaminck once said that "Good painting is like good cooking; it can be tasted, but not explained." For me, the same goes for the beauty of this place in this post. It remids me of the earthly paradise, the time of Eden. Aren't we lucky to remind us that there are such beautiful places exist in this increasingly industrial world (India is definitely one of the most technologically advanced countries in the world). I'm glad to say that you give a focus more about the culture and people in the places you visit and also in your travel writing. "like window-shutters to reveal the dusty sun-glare and blazing colours of the East". He was writing about a book by Rudyard Kipling but it's so fitting to this gorgeous post. Thank you so much for sharing this, Diane. Thank you for your lovely thoughts and generous comments. Kipling: It is so fascinating to read his early writings about India. Some are so poetic and some now seem a bit out of whack. Yes, you are right. 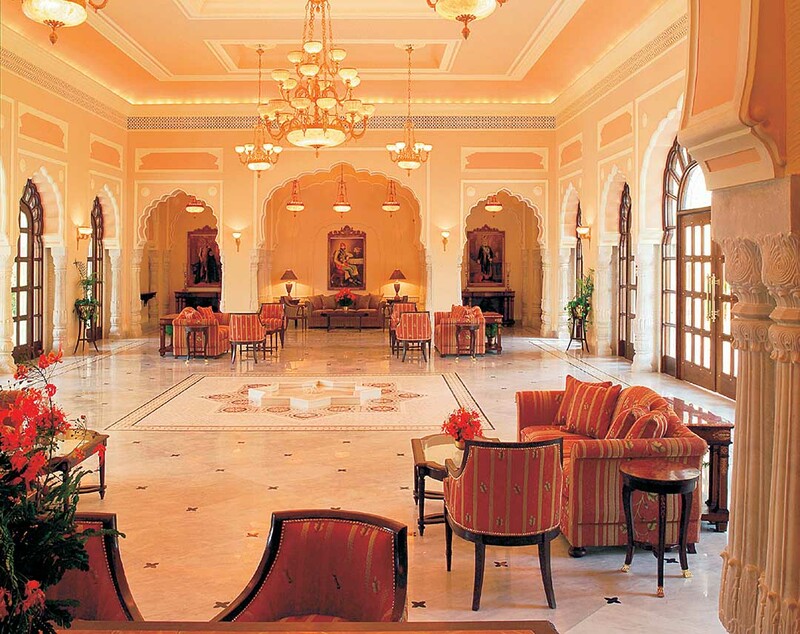 I absolutely appreciate the integrity and the special authenticity of Rambagh Palace. It was a country palace--and now it is a discreet and lovely hotel. 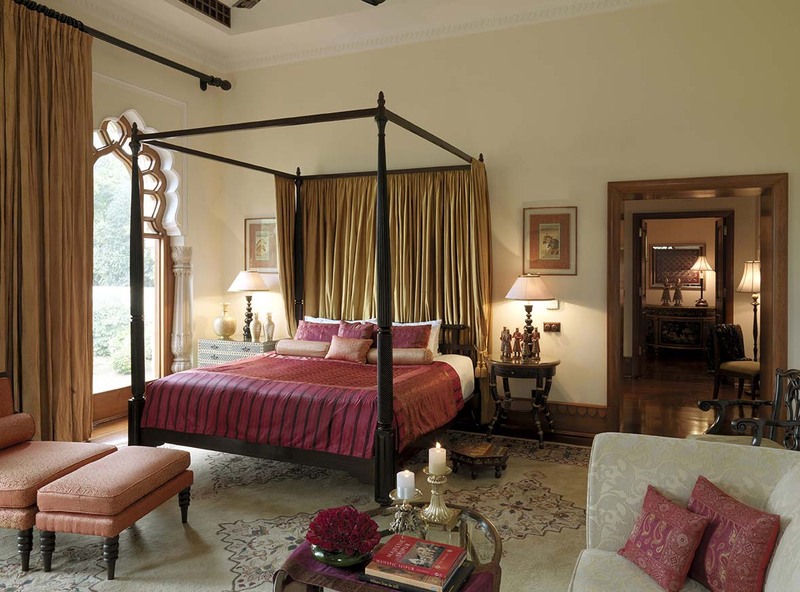 Some of the suites (which used to be those of the Maharani, for example) are very lavish and very palatial. I like the suites with a terrace where I can take breakfast in the morning, overlooking the garden. 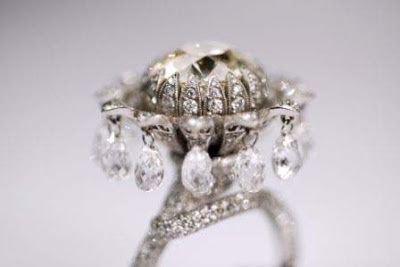 I love Gem Palace as well--the real deal--because it has such heritage but also because all jewelry are hand-crafted, and you can see the hand of the craftsperson, the soul of the piece. I like to support told crafts, arts, the rare hand that cannot be replaced by machines. Splendid, Diane. You really saved the best for last. It is pouring here in Georgia on the 4th of July and all plans have been cancelled...so I travelled to Jaipur with you. What a marvelous journey. Thank you. So sorry about the rain. In San Francisco we have potential fog to ruin the fireworks over the bay...we have a party and we all gather and celebrate...and then...it could all be obliterated by the fog. So far, so good...it is clear and sunny and usually if it is still sunny at 4.30...the maritime fog will stay offshore. I've had such wonderful comments--email and Facebook etc--about the INDIA CHRONICLES...one woman reader said that I inspired her to travel alone) --her husband does not like to travel she said. Well...if I inspire women to travel or with friends, I'm delighted and honored. 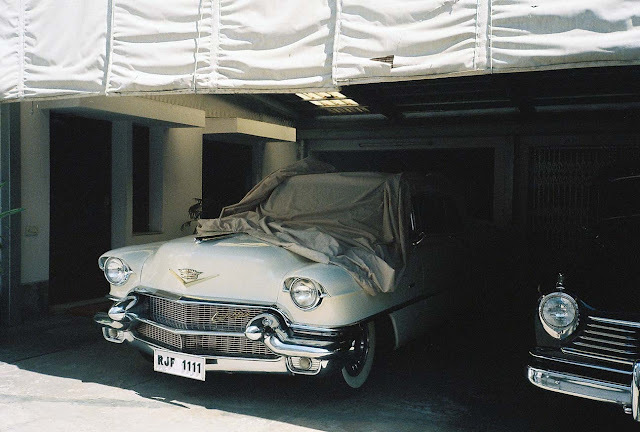 And a reader said she has never known about vintage cars in India before...she was delighted. That's so great. And others love the story of the Maharani...and Mr Jain and his books...I tell you it was wonderful to walk into Mr Jain's bookshop and see the great THIERRY DESPONT...the great designer/architect there, buying books...he is so handsome. I hope you'll come along with me for one more India visit...and then onward to more adventures. I have never read the books of William Dalrymple. Which one would you recommend I start with? FOR TRAVEL: I always think the more you know the richer your travels. The more you read...the deeper and more enjoyable are the meetings and trips and voyages. He also wrote 'The Last Moghul'...and it is more of an historical indepth report...more specialized most likely than you want now. He wrote 'White Moghuls"...and it is a fascinating part of Indian history...European men marrying Indian women at a time when it was disapproved of...I mentioned this book in an earlier report on HYDERABAD...look in the archive of the blog...a report on the FALAKNUMA PALACE HOTEL...which you would like. Start with those...he has also written others but these are the two best, by far. 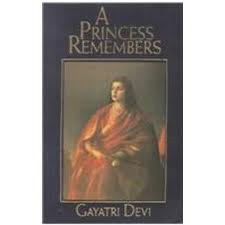 You might like A PRINCESS REMEMBERS...the biography/ autobiography of GAYATRI DEVI...which is on this week's blog...very charming insight into her life.